Or, otherwise titled Shop Tour Part V - see parts I, II, III & IV! Another year gone, a few more projects under my belt, and a few more additions to the shop that enabled those projects to go much more smoothly. That question “Do you work to live, or live to work?” - it could be asked of me, and I’m sure many other woodworkers as well, in a slightly different format with respect to workshop tools and equipment. There’s always something new to add! I’ve long-since run out of floor space, however, so much of what I’ve added is much smaller, hand / cordless tools. For years, whenever I’ve had to cut a sheet of plywood or other panel good that’s too cumbersome to place on the table saw, I’ve gotten out my straight edge and circular saw. This has always been a bit of a pain: the width of the saw “shoe” means that the blade of the circular saw will be a few inches in from the straightedge, so you have to clamp the straightedge offset from the line you want to cut - here’s one guide that outlines that process in detail. That’s fine for an occasional cut, but if you’re doing many, and need to do them quickly and repeatedly, and especially if you want to be able to use the last few inches of a board, this gets old fast. A track saw is essentially a circular saw with a specially designed shoe that mates with a track you can place right on the wood you’re cutting. The blade comes out right at the edge of the track which has two huge advantages: you no longer need to offset the guide from the desired cut, and the track doubles as a “splinter guard”, minimizing tearout from the blade. That is, it produces cleaner cuts much more easily when setup correctly. This was initially for a project for myself, but ended up coming in handy for a commissioned project as well. I have had a 4” angle grinder, great for small cutoffs, but it can’t cut deeper than about 1-1/2”; in building a block wall at my home, I needed something a bit heftier that could go through a 4” block. I picked up this grinder (and appropriate cutting wheels for masonry), and wow this is a powerful grinder. It made getting through that block for my wall relatively easy - but it’s the first tool in a while that made me a bit uncomfortable in its use. Sure, I have many more-powerful-in-absolute-horsepower motors, but this one took attention and care to keep under control - not all grinders are for novices; in 2016, one of Australia’s housing construction agencies recommended contractors avoid using the 9” size for safety reasons. I’ve since used this on a few projects as well where I had to cut some reinforcing structural steel that my smaller grinder would have taken many times longer to cut through. So, I was glad to have it in the shop. This one is straightforward and not particularly exciting, but comes in super handy when you need it! This drill allows for drilling holes in tighter spaces where clearance space is at a premium. Need to drill large holes for cables in a cabinet after assembly (or years after installation)? Then this is your tool. Years ago, a friend showed me this tool, and while nifty, I remember wondering why on earth someone would need to spend so much for a tool that doesn’t do anything “special”? Why cut slots for these “dominos”, when it seems to do the same thing as a biscuit joiner? Or if you really need a mortise & tenon joint, why not just cut a mortise & tenon? Well, my craft has matured, my knowledge has grown, and I need to work a bit more quickly. So I now see the need for a domino cutter, and indeed, in early 2018 a commissioned project required over a hundred of these joints. Essentially, it creates the strength and hidden joinery of a mortise and tenon joint - or more precisely, two mortises that you then fill with precut beech tenons - without the labor of cutting mortise and tenons. I cut those hundred plus joints in a few hours, rather than ten times that! 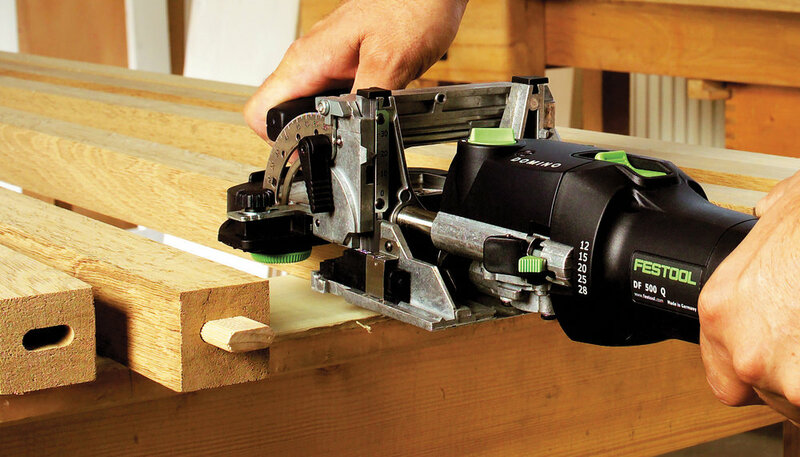 This isn’t a tool for every shop as it’s kind of pricey (as are all Festool tools), but either for specific projects, or if you do a lot of fine joinery, it is just amazing. Switching gears a bit to the electrical side, I build a lot of electrical stuff that require soldering - Lamps with in-line dimmers that need to be soldered; USB LED-strips; and perhaps most intricate of all, the controllers and sockets for the Nixie clocks. Up until recently, I’ve been relying on a relatively good soldering iron, but it had its limits. Though it was adjustable, it wasn’t temperature controlled; it was low powered so took a while to heat up to a useful temperature; and it wasn’t that great for desoldering my occasional mistake. Given my backlog of assembly in early 2019 - four Nixie boards of one style, a dozen in another style, many many power & LED cords - that would mean at least seven full days in front of the soldering iron already in the schedule. And more throughout the year. Time to upgrade. There were lots of combo tools out there - with built-in testing power supplies, with built-in lights, with combination desoldering vacuums and hot air guns. Given the desoldering I also do to make some of the vintage electrical parts useable, and the heat-shrink tubing for the LED cables, I decided to invest in this three gun Aoyue “repair station” (and a work lamp and solder fume extractor). Three full days into my electrical work - one day desoldering Nixie tube sockets and two assembling boards - I’m amazed with this workhorse, and wish I had had it much earlier. This isn’t really a tool, but an acquisition for my business which became critical as I got more larger cabinetry commissions. But it will also simplify my life for the wine & art festival circuit: my Kia Soul EV had a lot of cargo space, but it was a PITA to load & unload as I did consecutive shows but needed to use my car in between. And strapping all the pop-up tent, tables, etc. to the roof always scared me a bit with the sunroof in my car; in fact, after two years of that, the sunroof stopped working. So, time for an upgrade. 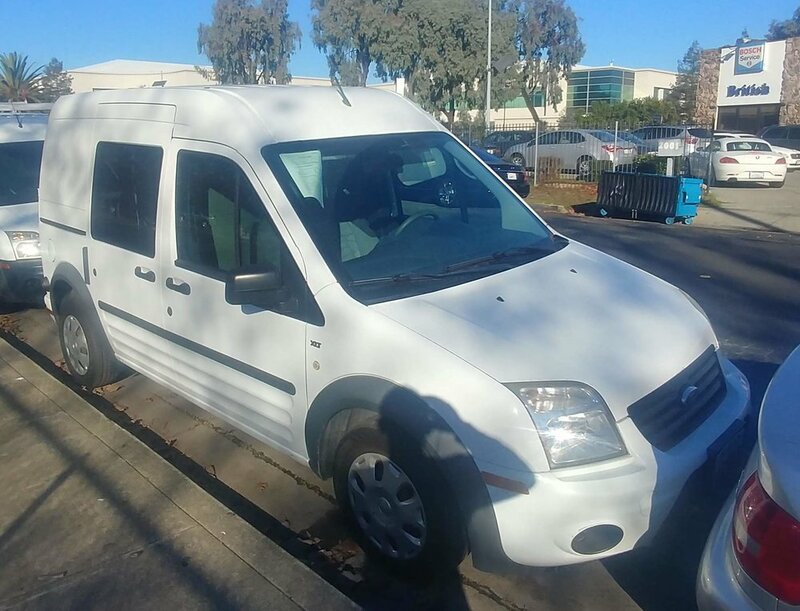 This van is perfect, not an overwhelming vehicle, but sporting a roof rack for plywood sheets and raw lumber, and enough space inside so I no longer need to use the roof for shows. And space enough to bring a few more things to the shows - namely, a higher more-comfortable chair for me! Wow my shop is chock full. Maybe space for a few more hand tools as pretty much all of these were, but between the growing range of raw materials I need and the growing set of projects in progress at any point, keeping it organized is a constant challenge. There are still a few tools I’d love to add, but which will probably wait until I get a far larger space. Anyone nearby to me in South San Francisco have these tools handy that they’re happy to let me use periodically?! I’ve started doing a few end grain products - as in a few of the coaster designs. Though those were initially inspired as a way to use up a lot of scraps, I really enjoyed both the process of making them, and the finished result. I’d like to do some larger end grain products, and finish-sanding them is a huge amount of work, especially since you can’t run those through a planer. Or at least, you shouldn’t - sure, it can be done, and many have done it successfully by a combination of luck and better practices (only take a 32nd of an inch off at a time, etc. ), but it’s much more prone to destroying the product, the blades, the planer, or your hand than planing the face grain. A drum sander can rough or finish end grain products; a drum sander won’t destroy expensive blades if there’s a tiny bit of dirt or a buried brad nail; a drum sander will get you an even smoother finish on planer-surfaced boards. And you can get more width per dollar in a large drum sanding machine than a large planer. Oh how I’d love access to, say, this machine - but at just under a ton, and needing a 65A 3-phase power supply, it just isn’t going to happen. My Dewalt planer - for which I sung the praises for a year and a half ago - is still a workhorse in my shop. However, it has a few limitations: it can only plane boards up to 13” wide, and it has “standard” straight-edge blades. The latter I’m in the process of addressing with an upgrade to a “shelix” helical cutting head. But I can’t upgrade the width; periodically I need to work with wider boards. I’d love to add a 20”+ planer, … but at a ton (and nearly $10k! ), it also won’t be happening. Fortunately, it’s infrequent enough that I’ve generally hired the services of an outside shop. But if I need to do more… I’ll either have to turn down that work or get me a big planer! I’ll confess for all the cool and fun (and expensive) tools I’ve added, given the number of switches and plugs I wire, one of the best time savers - and certainly the best bang for the cost! - was this automatic wire stripper, an ingenious creation of mechanical engineering. So great tools need not be big or expensive - what cool gadget or workhouse is on your wish list, big or small?